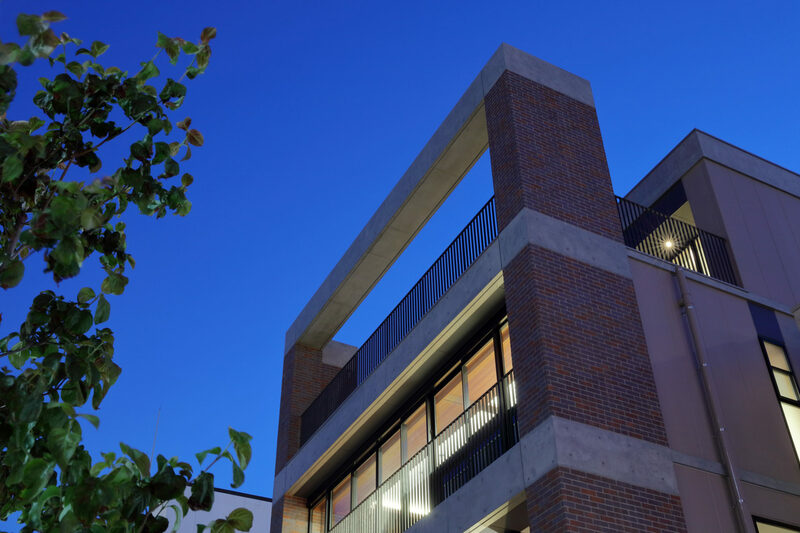 Our clients’ request was to build a four-storey comlex building with both commercial and residential floors within their property in the midst of commercial area in front of Kurashiki station. 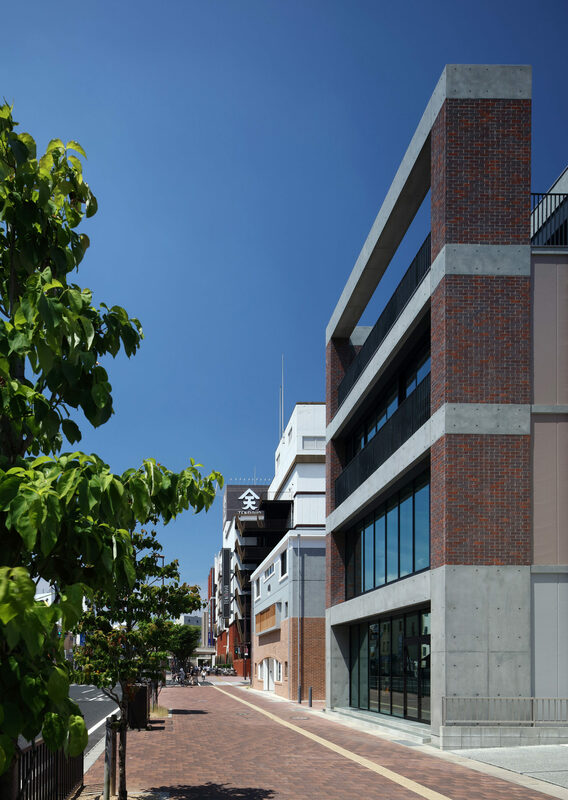 As the site being just on the east side of Kurashiki Higashi-Mitsukoshi Station Building (current Tenma-ya shopping mall) designed by Arch. 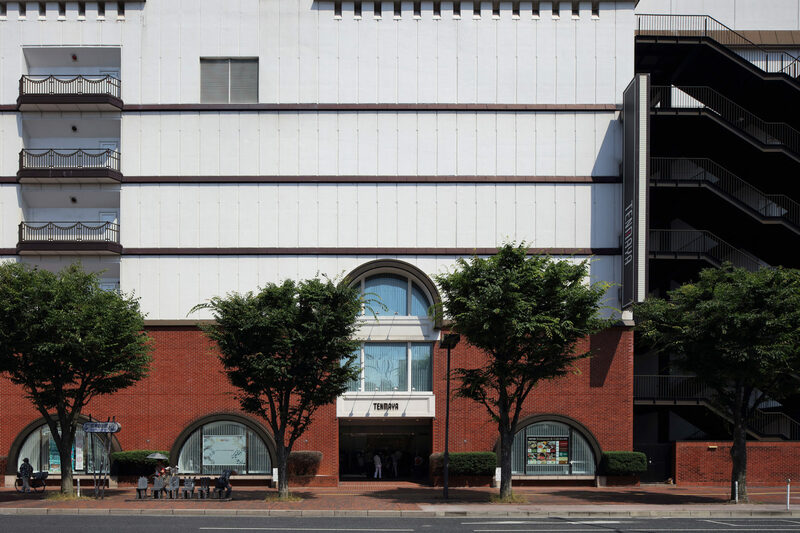 Shizutaro Urabe in ’80s, it was inevitable that we refer in some way to this memorial building when planning our project. Arch. 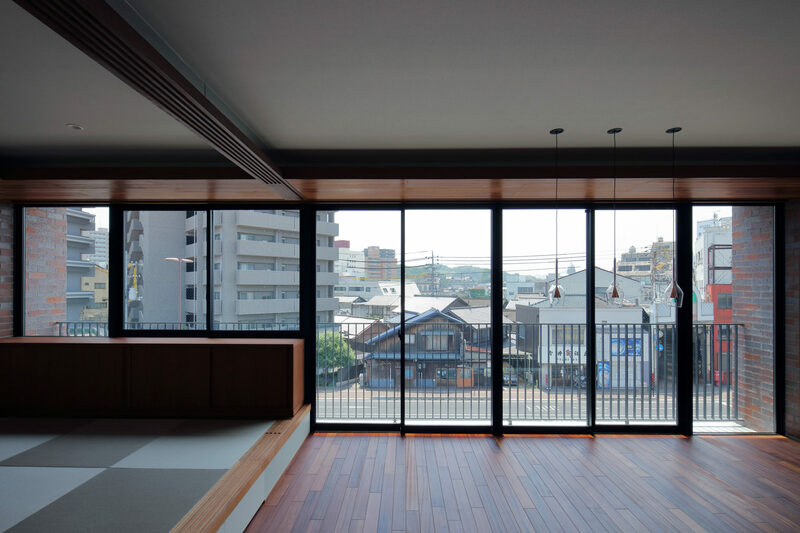 Urabe was awarded the Prize of AIJ (Architectural Institute of Japan) in 1974 when he designed “Kurashiki Ivy Square” Hotel by reconstructing the former Kurashiki Spinning Factory. 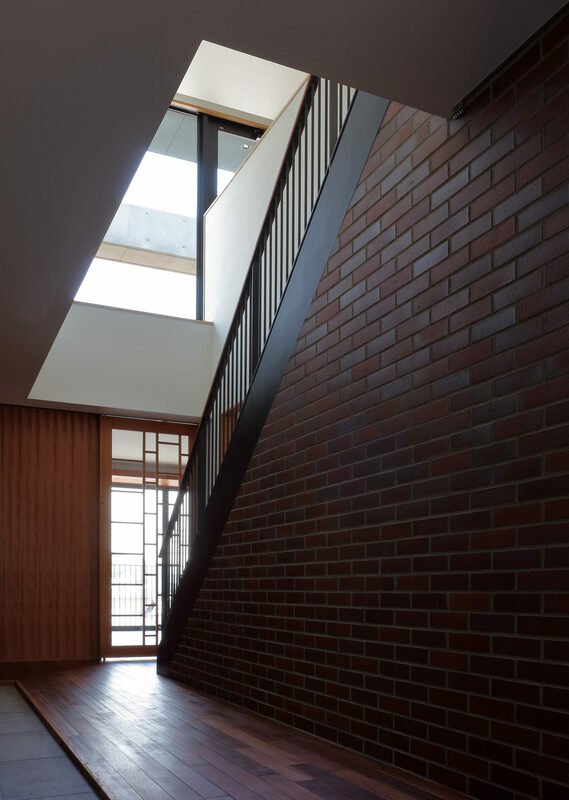 His other works then follow utilizing red bricks such as Kurashiki City Hall. 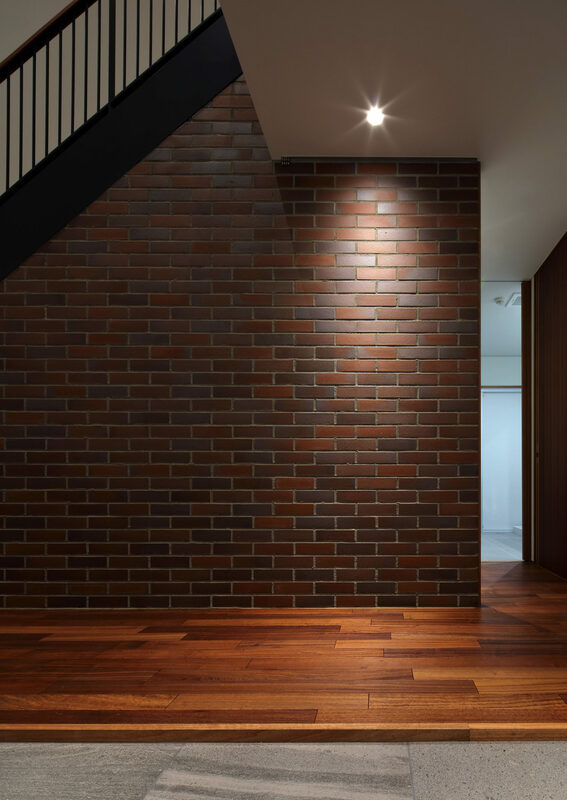 Urabe’s celebrated use of red brick motifs evidently originates from the former Kurashiki Spinning Factory which was built in 1889 by the design of Seiryu Ishikawa, an engineer engaged in constructing Japan’s oldest spinning mills in Meiji era. So we thought it was important also to consider those observations when referring to Urabe’s works. 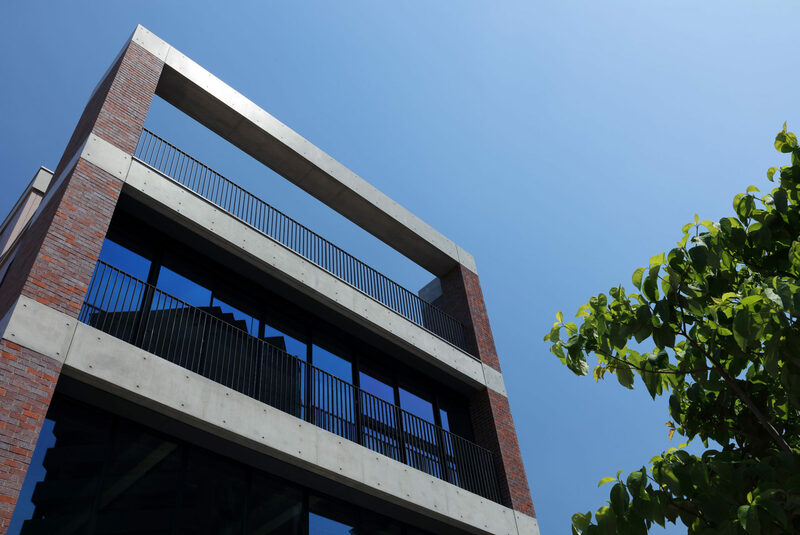 Renga Building I’s facade has an U-shaped concrete frame on 1st floor level and the repeating horizontal layers of red brick walls and concrete slabs on upper storey level. 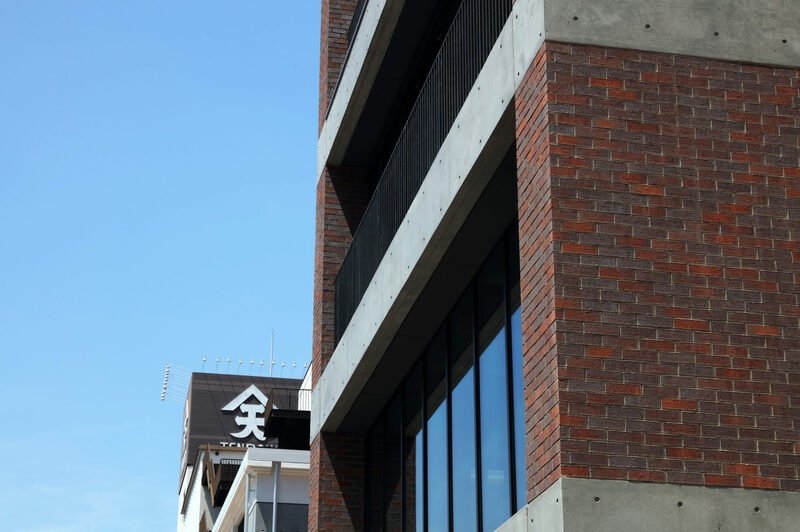 This facade design that emphasizes on horizontal lines is a homage to the former Mitsukoshi building. 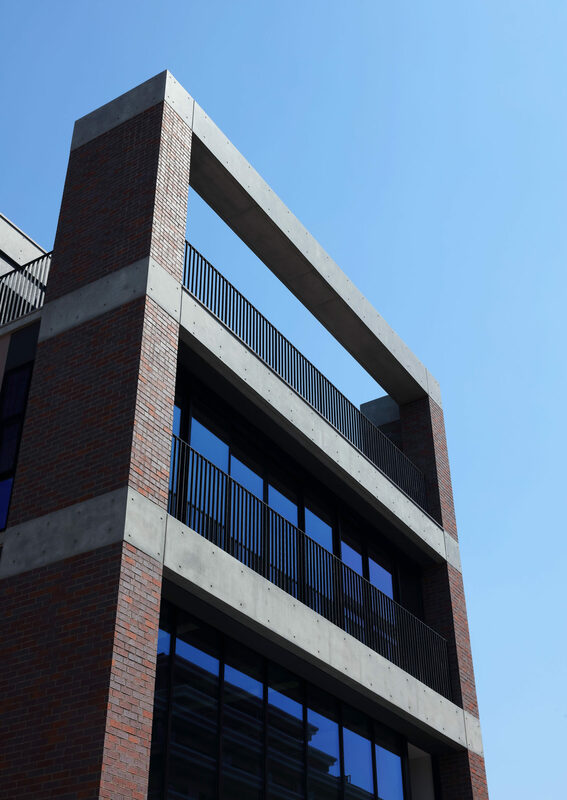 Also, we intended to render images of old spinning mills by outlining the top floor terrace with brick and concrete frame. 2019 will mark the 110th anniversary of Urabe’s birth. 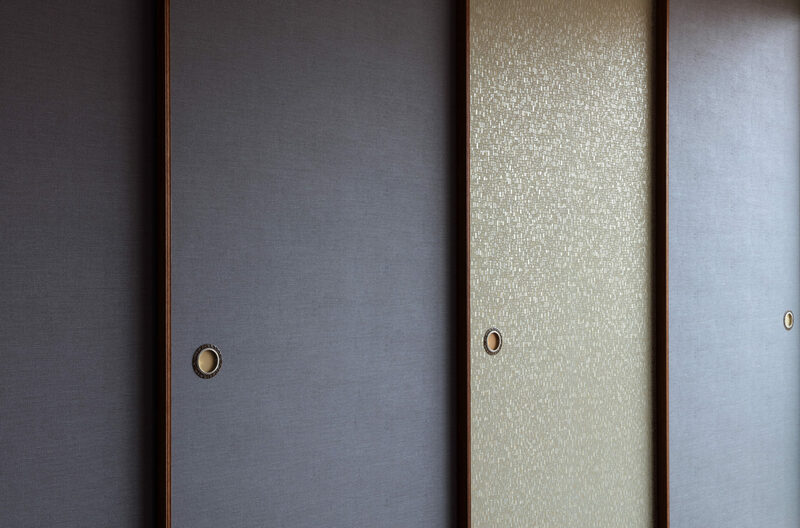 It will be a good opportunity to reevaluate the works of Kurashiki’s important and historical figure. 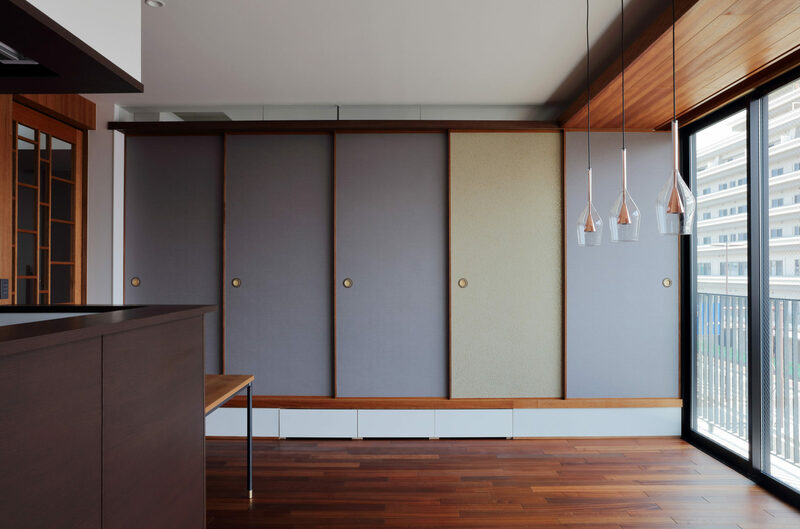 Structural consultants : Kurashiki Structural Planning Ltd.
© 2019. 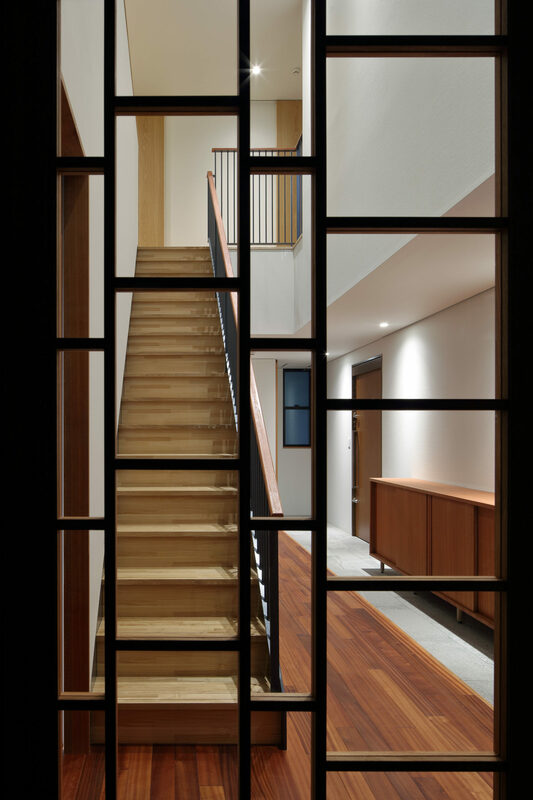 TT Architects All Rights Reserved.